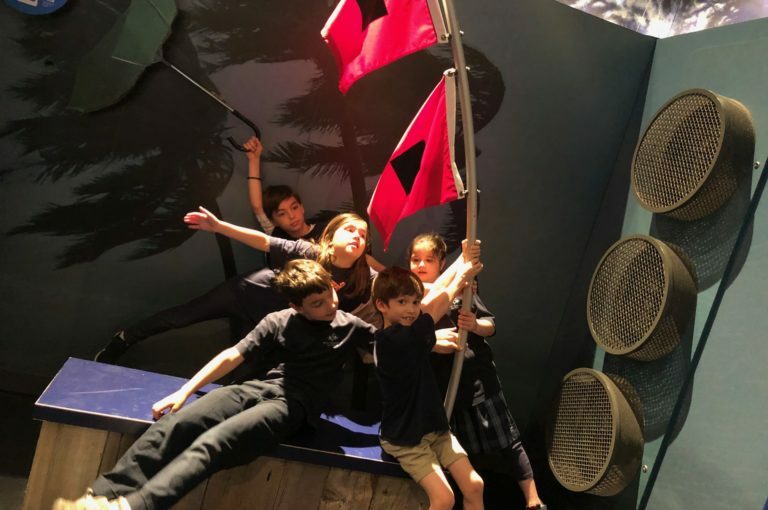 At BYDS we have an amazing collection of ancillary activities, students experience a minimum of 8 hours weekly exploring music, art, Spanish, Hebrew, and physical growth and development. As they progress through school our students enjoy even more time, a minimum of 12 hours weekly for our 5th graders, in these specialty courses. 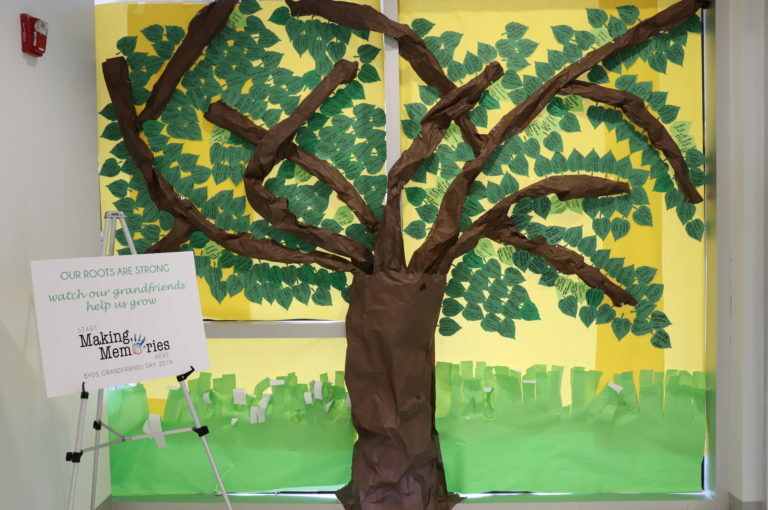 BYDS specialist programs provide students with additional opportunities to lead, imagine, create, and shine during the school day. All specialist courses support and enhance the core curricular lessons taught at each grade level, and in each grade, they integrate with core instruction for certain major projects. You will find art everywhere at BYDS, not just inside our daylit art lab. 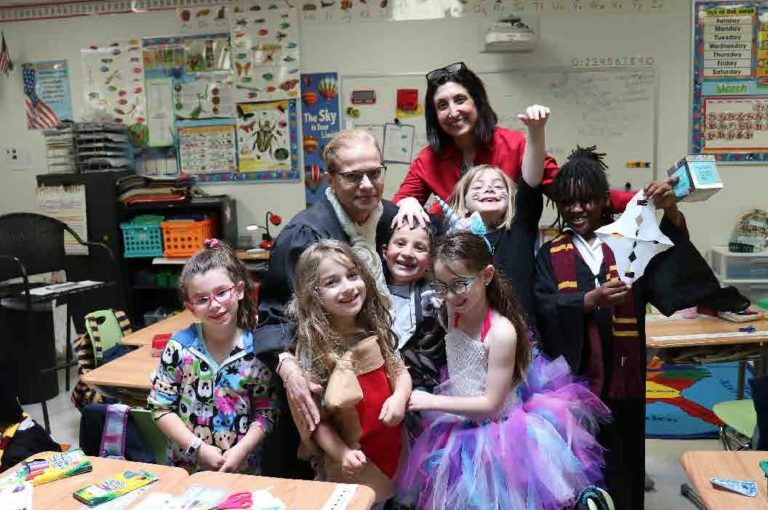 Students are given the chance to connect to their creative self and at the same time build their self-esteem. They are encouraged to become creative problem solvers as they find a solution to a problem that does not have only one right answer. Throughout the year the children will experiment with a variety of art materials as they learn new skills and techniques. They will be exposed to great works of art as they develop an understanding of the elements of art and principles of design. Several of the projects created in art will be integrated with what they are learning in both their secular and Judaica classes. One of the highlights of the art program is that every student will be introduced to basic ceramic techniques as they create a special holiday project out of clay that will be fired in the school kiln. As you pass through the BYDS hallways you will always find the artistic talent of our students displayed throughout the school! The music program at BYDS instills an appreciation and understanding of different styles of music. Each grade level leads a beautiful Shabbat service once during the school year. The children also prepare for our annual Thanksgiving program and other special events throughout the year. Musical theory and basic note reading are introduced to our students starting at the age of 3. Students in grades 2-5 are welcome to join choir — an extra-curricular ensemble that performs throughout the school year at synagogue occasions, school programs and community events. From Kindergarten through 5th Grade, Spanish is taught during the regular school day as a third language. The Spanish program provides the students with the opportunity to learn a new language that will open many doors in their future. 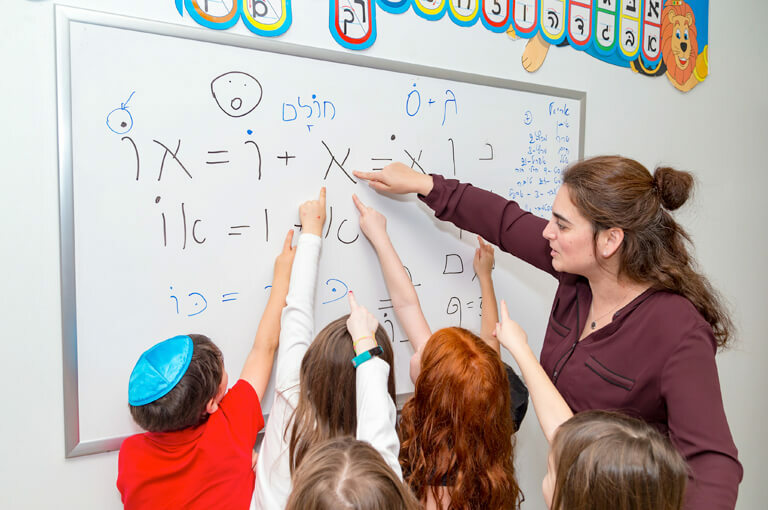 It is proven that students who study a foreign language like Hebrew and Spanish in BYDS score statistically higher on standardized test conducted in English. The focus of the program is on Spanish conversation. By learning another language, they also develop greater creativity and problem-solving skills. The curriculum starts with basic vocabulary through songs and movement and culminates in 5th grade with a joint Hebrew/Spanish project. 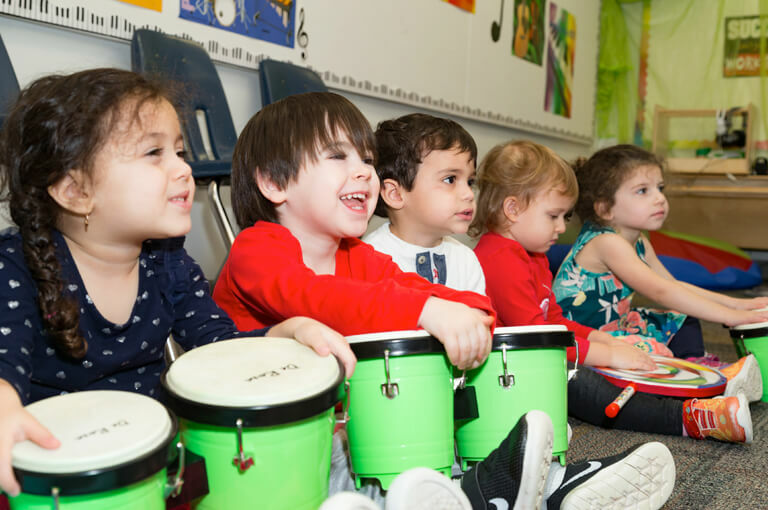 In Early Childhood, students practice Hebrew in song, in the synagogue, and through holiday and life cycle-oriented activities. All grades in Early Childhood experience an engaging Shabbat program on Friday mornings starting in the CDO program. 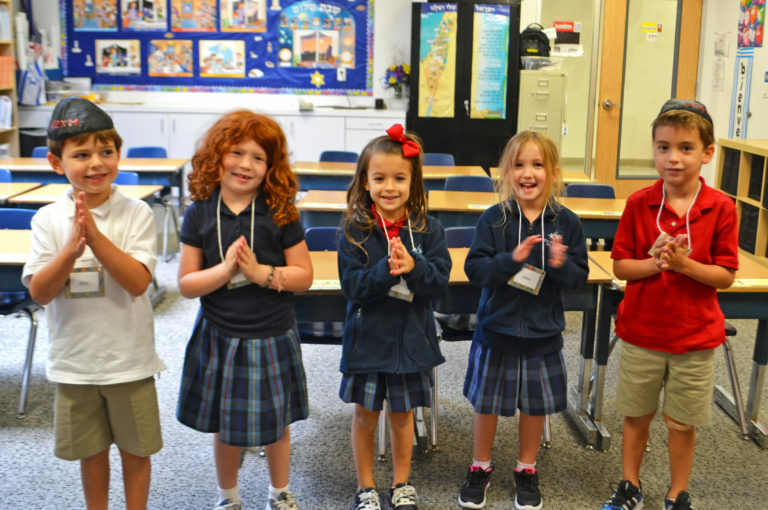 Twos and Threes students participate in Hebrew classes once a week; in Pre-K they begin to visit Hebrew class for two periods per week. During Hebrew classes, they engage in various modalities of learning including art and music. 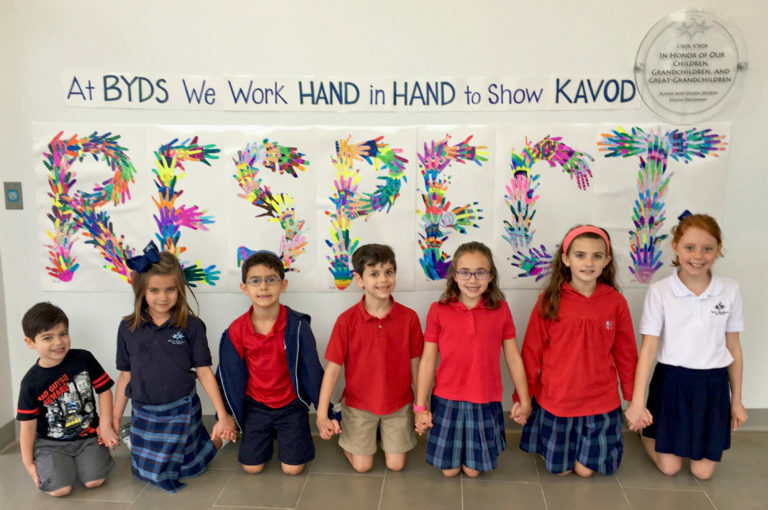 Hebrew language exposure incorporates a strong spiral curriculum based on the 5 Cs of the World-Readiness for learning languages: Communication, Cultures, Connections, Comparisons and Communities. Our mission is to teach traditional knowledge and promote meaningful experiences. We promote pride in our Jewish heritage and commitment to our people and moral principles. This program promotes lifelong wellness that engages students of all skill levels. Our coach teaches skills in a fun, non-competitive way so students feel challenged and have fun during PE. Starting in Pre-K, children are taught appropriate skills to succeed in various sporting activities, where they are encouraged to participate and strive to do their best. 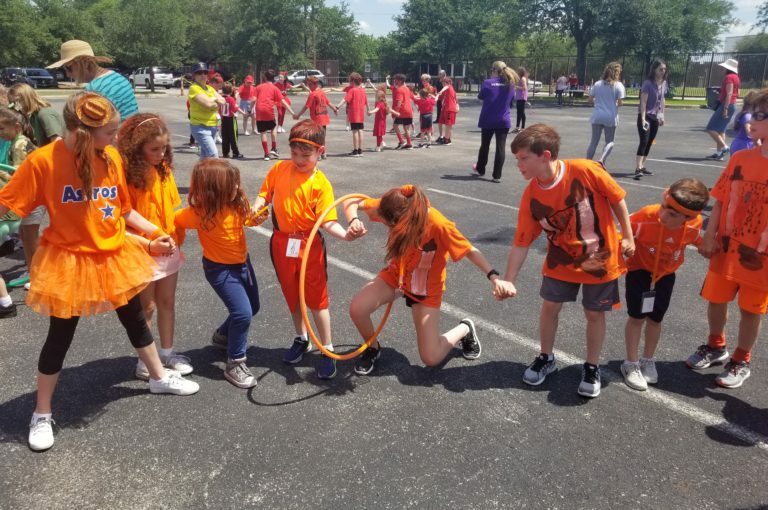 Each month focuses on a different unit that includes but not limited to basketball, soccer, Jump Rope for Heart, baseball, fitness workouts, and team-building activities. Each grade follows the same unit and depending on the grade/skill level, adjustments to the unit are made to accommodate the students. Our students are expected to demonstrate good sportsmanship and cooperation. 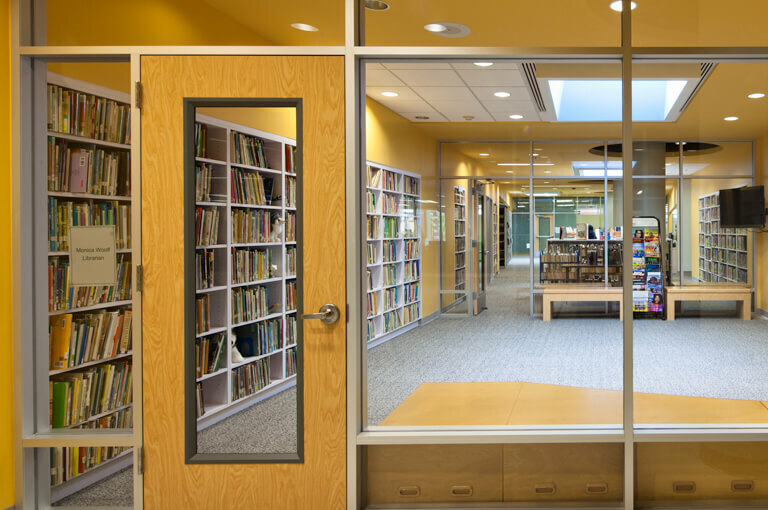 The library is an instructional center and service agency that is built in to support the curriculum of the school. From the very beginning when we start teaching kids in kindergarten, we want them to become information literate in their journey of reading both for instruction and pleasure and well acquainted with a libraries purpose as well as enhance their future knowledge. Our library provides a “Book Fair” twice a year to our families. The librarian selects books appropriate for the reading levels of each grade. A “Young Authors’ Celebration” is planned yearly, bringing published authors, illustrators and creative artists for young audiences from across the country to our school to provide interactive workshops. The library also hosts Celebrate Texas Day every spring. It is truly the hub of our school.